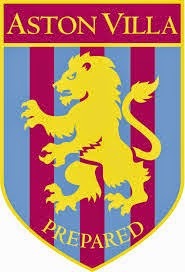 Aston Villa are one of the foremost football clubs in England. They are based in the Witton area of north Birmingham and were formed in March 1974 by four members of the Villa Cross Wesleyan Chapel playing their matches at Aston Park. After two years the club moved to a new ground at Perry Bar. 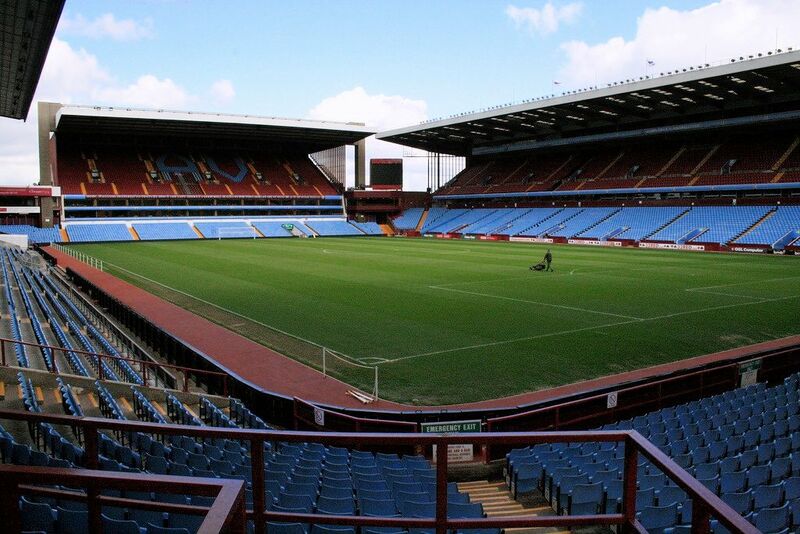 In 1887 Villa won their first FA Cup, when they defeated West Bromwich Albion at The Oval. A Scottish draper and director of the club William McGregor was fed up with one sided matches and wanted Villa to embrace professionalism. He wrote to eleven other leading clubs, which led to the formation of The Football League in 1888. Villa became league champions for the first time in the 1893-94 season, drawing crowds of up to 25,000 to home games, at a time when the FA Cup final was attracting five thousand less. A second FA Cup win came in 1895, followed by their second League title the season after. The following 1896-97 season saw the club become the second after Preston North End to complete the League and Cup double. Another two titles were added up until the end of the century, by which time the club had moved into their new home, Villa Park, in 1897. 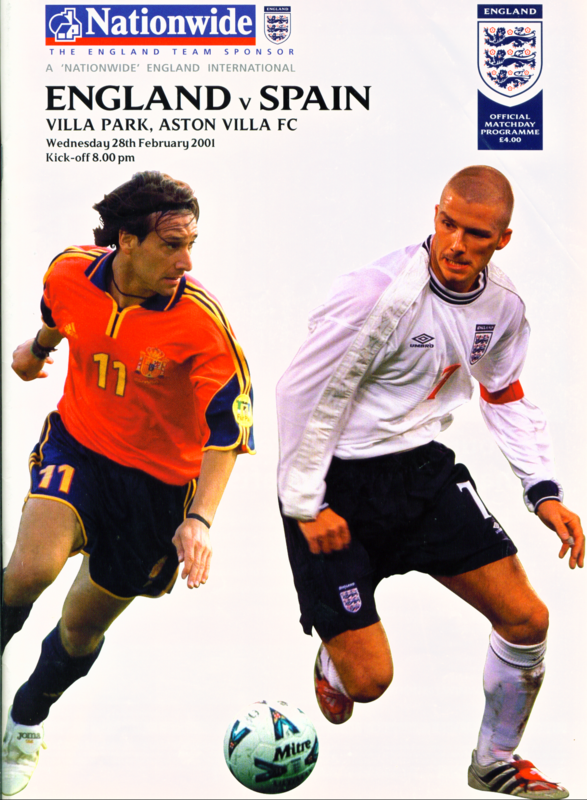 The ensuing decade saw the addition of Villa's fourth FA Cup triumph and their sixth League championship. In 1913 yet another FA Cup was won, this time by defeating Sunderland at Crystal Palace, as the clubs golden period of titles, cup wins, finals and runners up places came to an end. After football resumed after World War One, Villa added their sixth Fa Cup win with victory over Huddersfield Town at Stamford Bridge. The team reached the second ever Wembley cup final in 1924, but then had a bit a of a slump. To address this the board signed Tom 'Pongo' Waring in 1927 from Tranmere Rovers. He went on to become one of the most prolific scorers in English football. Villa lifted the second ever contesting of the League Cup in 1961, but that was the highlight of the decade. Mercer left in 1964 and other bosses followed before the team were relegated at the end of the 1966-67 season. 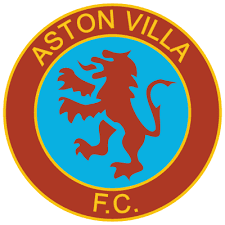 Villa were relegated to Division Three in 1970 and reached the League Cup Final the season afterwards despite their lowly status. Promotion came in 1972 after 'The Villains' won the Division Three title. In the autumn of 1972 there was a boardroom coup to remove one of its directors, Doug Ellis. This succeeded, but Ellis was back fourty three days later. This time he had the backing of the supporters and the major shareholder and came back as Chairman. In the summer of 1973 Ron Saunders was appointed as manager to replace Vic Crowe. Saunders immediately did the trick as the team won promotion as well as the 1975 League Cup as a Ray Graydon goal saw off Norwich City. Ellis stepped down as Chairman but remained on the board as Villa went on to win the League Cup in 1977, beating Everton after two replays. Ellis departed in the summer of 1979 after an attempt to remove some directors from the board failed. Saunders meanwhile built a new team as he brought in defenders Alan Evans, Ken McNaught and Kenny Swain. Midfielder Des Bremner was brought in to play alongside Dennis Mortimer, Gordon Cowans and Tony Morley. Finally Peter Withe was signed to play up front with Gary Shaw to build a fine team that went on to become league champions in 1980-81 and playing some scintilating football along the way. In February 1982 with the team struggling, but still in the European Cup, Saunders resigned over a contract dispute to be replaced by his assistant Tony Barton. On the 26th May 1982 Aston Villa went on to win the European Cup after a Peter Withe goal was enough to beat Bayern Munich. Unfortunately the team didn't go on from this victory and the club revealed a sizeable debt because of wages and the building of the North Stand. Ellis moved back into the Chairman's seat as Barton was sacked in the summer of 1984. Graham Turner lasted fourteen months before Billy McNeill took over but couldn't do any better as the team were relegated. Graham Taylor was brought in from Watford to take over in the summer of 1987. Taylor took the side straight back up with the help of excellent signing David Platt. After two seasons Taylor was appointed as England manager after Villa ended as runners up in Division One at the end of his second season. The Czech Joseph Venglos lasted just a season, before the charismatic Ron Atkinson became another of 'Deadly Doug's' appointments as Platt was sold to Bari. Atkinson brought in several players such as Andy Townsend, Kevin Richardson, Shaun Teale and Dean Saunders as the team finished runners up in the inaugural Premier League season of 1992-93. Villa won the League Cup in 1994 but late that year Atkinson was shown the door. Brian Little left Leicester City in controversial circumstances to take over and he led the side to lift the League Cup in 1996, but them resigned siting boardroom interference in February 1998. John Gregory was the next manger to attempt to satisfy Ellis, which he did to a certain extent. By the time he retired just under four years later he had to sell star assett Dwight Yorke but still led the team into Europe twice and reach the last FA Cup Final at the old Wembley, when they were defeated by Chelsea in May 2000. Ellis appointed Graham Taylor for a second time, but he was yet another manager to tender his resignation just over a year later. David O'Leary took over and it was during his spell that some Villa players heavily criticised Ellis. O'Learly left the club by mutual consent in July 2006. The following month Martin O'Neill stepped in as team manager, but the bigger news that month came when after several seasons of fans protests and countless managers Doug Ellis sold the club to American Randy Lerner. Lerner was the owner of the NFL team the Cleveland Browns and quickly gave O'Neill funds, becoming popular in an instant. However it wasn't to last as the manager openly asked for further funds. Villa lost in the 2010 League Cup Final and at the end of the season O'Neill resigned. Lerner appointed Gerard Houllier who struggled with a recurring heart problem and unpopularity amongst the players. Houllier stood down and Alex McLeish was surprisingly brought in from arch rivals Birmaingham City, who had just been relegated under his supervision. After a poor season McLeish was released as Paul Lambert moved to the club from Norwich City to take over. Lambert's new look side eventually secured their top flight status despite the disappointment of bowing out at the semi final stage of the League Cup. Lambert became increasingly unpopular with the loyal fans, especially once the goals of Christian Benteke dried up and the team struggled to score from anywhere. Poor results led to the Scot's dismissal in February 2015 with the team teetering around the relegation zone. Former Tottenham boss Tim Sherwood was appointed to try and halt the slide. He kept the side up and led them to the FA Cup Final where they went down 4-0 to Arsenal in the Wembley showpiece. Sherwood looked to rebuild his squad in the summer of 2015. Aston Villa FC will play in the FA Premier League during the 2015-16 season. I was travelling to Hereford in Scarborough's first Football League season in the company of our wonderful driver Doomie, Mick Young and Crusher. We'd set off early so that we could get there for a few beers and to stop off at some grounds along the way. We'd been to Eton Park at Burton before Doomie had the super job of having to find our way off Spaghetti Junction and come out the right way. We didn't do bad between us, with the usual advice been given out by us back seat drivers. We parked behind the North Stand, stopping briefly to take in the magnificent grand entrance to the Trinity Road Stand. It was our lucky day as a gate was open in the corner between there and the North Stand, so we walked in. We went down pitchside and walked along the cinder track. Villa Park looked a really impressive venue. 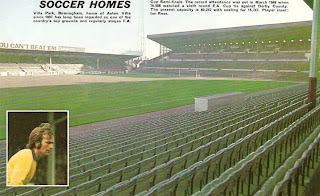 The Trinity Road Stand had seats at the rear and in the converted paddock, with corporate boxes in between. 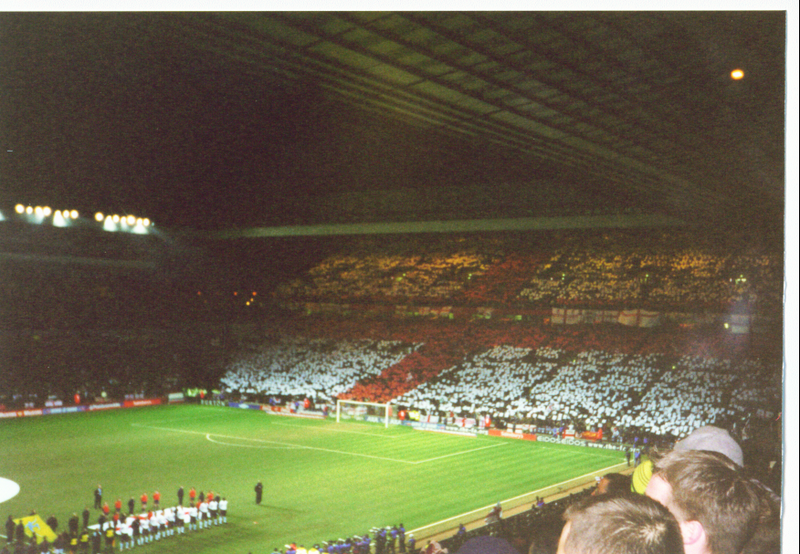 The North Stand behind the goal had a raised seating deck, boxes and then standing downstairs. The Witton Lane Stand was quite a low single tiered seated structure, but the best of all was behind the other goal. 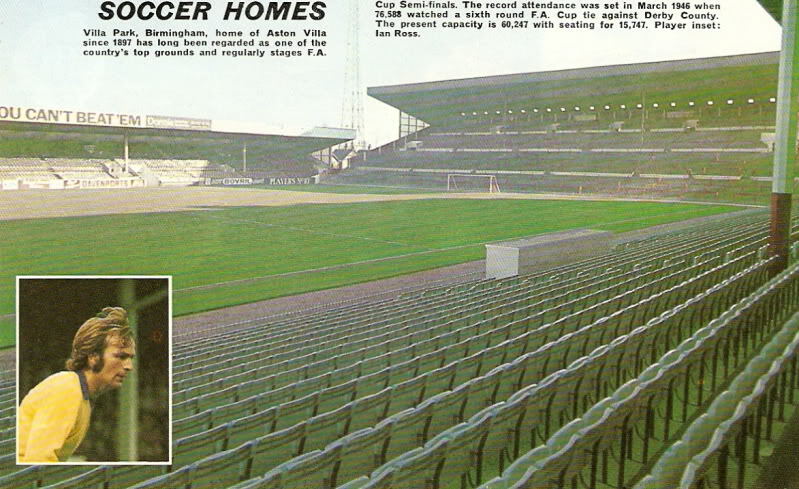 The Holte End was a huge bank of terracing with segregation barriers down the middle. This was not to seperate home and away fans, but opponents when Villa Park hosted FA Cup semi finals. After our look round we called into the souvenir shop, where I bought a recent programme as a souvenir. We were lucky that we'd got inside but it shows that if you make an effort you can succeed. Wembley was in the process of waiting to be demolished in readiness for the new stadium so England were playing their home games around the country. Crusher had continued in the England Members Club and could get tickets for games. When he suggested a game at Villa Park I was right up for it and booked a day off work. 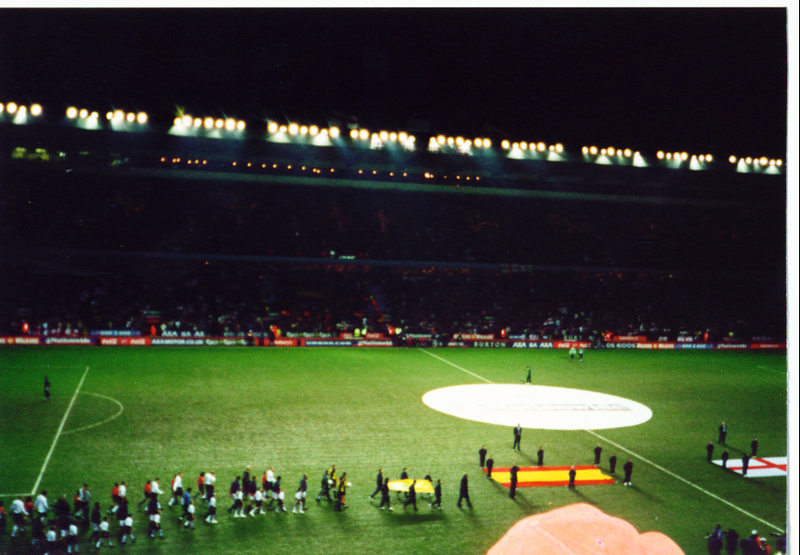 Adding to the attraction was the fact that it would be England's first ever game under a foreign coach as Sven Goran Eriksson had been appointed. Crusher decided on a break in London at the same time so we had a large night out around the West End on Tuesday after I finished work, ending up with the ridiculous sized Chinese meal that only blokes order at last orders. It was a great idea at the time! We met again at Euston the next lunchtime for a a couple of pints in The Head of Steam before going for the train. The fares weren't cheap to Birmingham with Virgin, but I'd discovered a slower but much cheaper service. Yet another great idea at the time. After our train eventually crawled into New Street station I suggested that we catch the local train to Aston and find a pub near there that might not be so crowded? Crusher was happy with that and we did indeed find a pub where we could get served, and what a pub it was. I like old fashioned traditional boozers, but this was something else. The Britannia was definitely not for an away fan on a match day. All things Villa filled the tobacco stained walls, with some of the locals not looking like the lads to be upsetting. We had a couple of pints and then took the fifteen minute walk up to the ground. We were in the newly re-built Trinity Road Stand. Gone had the stunning old facade instead of a larger more functional structure. Sure it was easy to get a beer and a pie but it sure lacked character. The Holte End was also re-built with a large tier below a smaller upper deck. The Witton Lane Stand had been replaced by the Doug Ellis Stand. This had two tiers of seats divided by corporate boxes. The North Stand was as our previous visit, apart from seats replacing terracing downstairs. 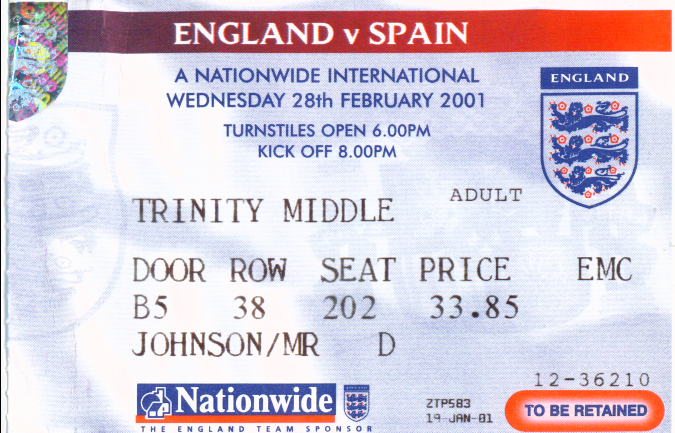 We were located in the Trinity Road Stand on the back row of the Middle Tier of two large sections of seats. There were boxes behind us and then another large seating deck. I'm glad we were on the back row as the leg room was pretty poor for a new stand. We stood up throughout the game. England fielded some new faces with Chris Powell making his debut at full back. After thirty eight minutes Nick Barmby latched onto Michael Owen's pass to put the home side one up. Eriksson rang the changes at half time and it paid off as Emille Heskey scored and then Ugo Egiogu headed home Frank Lampard's corner past Ike Casillas. It had been a very good performance against a team that were gradually building. At full time we went round to Witton station where there was good humoured banter amongst fans of the local clubs across the platforms. We grabbed a take away and cans and jumped on our train back to London. Joy of joys, we were woken at Northampton and put onto another train. Our feedback probably wasn't the best! Even worse was to come for the big man as all the tubes had gone when we returned and the queue for taxis was huge so we set off on foot. To be fair he walked all the way back to Paddington, while I jumped on my night bus on Edgware Road. It had been a long day out, but lots of fun with experiences learned for future reference! It was high time I returned to Villa Park. This time it was on my day off as part of a look at several clubs in the area before attending the Halesowen Town v Hednesford Town Pre Season Friendly. It was a lovely day and ideal for a proper look round without crowds getting in the way. Having purchased my £6.20 one day travelcard I took a train to Aston. The former Britannia pub from my last visit was now an Indian restaurant and bar. Aston Park looked glorious on the approach to the stadium, with the Holte pub, refurbished under the tenure of Randy Lerner looking majestic over the road. I saw a door open at the pub so I had a look to see if they were serving, but it was being set up for a function. It was a shame as the memorabilia on the walls warranted deeper investigation. 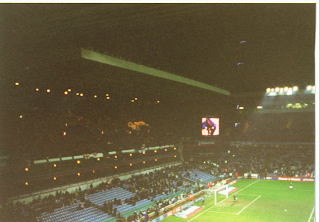 The back of the Holte End had grand staircases leading to the entrances. This slightly compensated for the loss of the magnificent old Trinity Road Stand. This had been rebuilt and the new huge structure spanned over Trinity Road. No entrances to the stadium were open and the club only did tours on a Wednesday. I continued round and back down Witton Lane. This is where I found the main entrances to the ground behind the North Stand. It really was a big complex with Villa community centres past the Aston Hotel along with the Cowans Centre. The massive car park held the ticket office and merchandise stalls. I managed to take to decent snaps without having the chance to enter. How everything had changed since my first ad hoc visit twenty seven years earlier when we were free to go wherever we wanted and ended up on the pitchside track. I really rue not taking my camera back in those days. I decided than rather heading into the city centre I’d try my luck and catch the train to Bescot to see if I could gain entry at Walsall FC.